In developing the aSK, Phonic's Loudspeaker Research and Development Team insisted on professional grade performance at affordable price points to fit the needs of performers and hobbyists alike. Engineered from the ground up, the aSK is built like a tank. Structural features include internal bracings that minimize body vibration, heavy duty metal handles, slanted sides to decrease diffraction, and ultra-thick (Yes! Ultra-thick!) carpet to withstand the occasional, unavoidable, rough handling. The aSK is also equipped with Phonic's proprietary Wing-Guide? horn which lowers distortion and improves dispersion consistency. 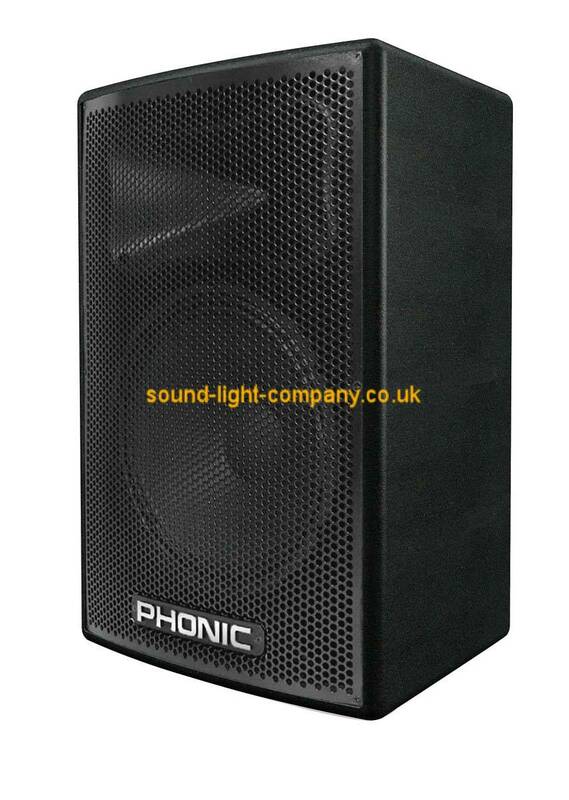 Phonic's Loudspeaker R&D Team also engineered new drivers for the series including 1.3" pure titanium tweeters and long-throw woofers, resulting in a stellar acoustic response that is flat overall with a bass boost providing added "thump". For rigorous performance requirements at an incredible value - the aSK makes no compromises.